Children make crafts or drawings in their ‘’Grand Cahier de Français” (French book) related to the story. Words and usages are playfully “absorbed” into memory and will be grasped in their exact meaning later. They also serve as an anchor for grammatical structure to be lifted to consciousness later. Grade 3 French - Animals with AccentsIn the Upper Grades, our French program builds on this foundation through the introduction of music, drama and art. The net effect is that our students not only learn to speak and read and write French, they also learn to appreciate the culture and history that this beautiful language describes. Starting in Grade 4 the children begin the fine task of recording all that has been learned so far by heart in their Grand Cahier de Français. They are invited to observe and describe regularities in the structure of the language and most importantly, play with them! In Grade 5 grammar is introduced (verb conjugation, spelling rules…). The children create their own Grammar book and Language book (similar to a Main Lesson Book). Still, a large part of the lesson is dedicated to experience the living qualities of the language through oral expression: Poetry, dialogues, speech exercises, singing. In grade one, the children start the year by reviewing finger knitting making a braided belt. Then they learn to knit, making a buttoned pouch which is sewn on to the belt. Their next project is a coloured recorder case. In this project they learn to cast on, change colour and sew. For speedy knitters, animals will be the next. At the end of the year, the children make their own knitting needles to take home. On the one hand, knitting trains awareness and dexterity of both hands and, on the other, it awakens and promotes the children’s mental powers through the transformation by which a one-dimensional element, the thread becomes a two-dimensional fabric which has a three-dimensional function. In grade two, the children first work on their sewing and embroidery skills, making a pencil case for their new pencil crayons. Then they learn how to purl in the making of a small rabbit. Towards the end of the year, they will be introduced to crocheting. Using a leather base and single crochet the children will make a draw-string treasure pouch. The emphasis in crocheting is on the dominant hand and even the dominant side of the body…. can have a harmonizing effect on the individual child’s temperament. In grade three the children refine their crochet skills and further develop a sense of colour, making a hat. This project includes learning how to sculpt – increasing and decreasing size. For children who are done early, a review of knitting and learning to increase and decrease will be included. The first garments are made to be worn. Beginning with the head, caps are created. In grade four the children again work on sewing, embroidering and sewing their own hand-work bag. They also learn to cross-stitch in a symmetrical form, making a needle case. With its symmetry, and supported by colour and form, cross-stitch helps children to gain confidence and inner firmness in this initial phase of their becoming independent. An understanding of a meaningful design to suit the purpose of the object begins to awaken. In grade five the children are learn how to knit in the round using four needles. They will make a pair of wool socks. When the socks are finished, the children will sew small felt animals. At this age the children have a new need for harmony: they seem to rest within themselves. A new technique that fits in with this is round knitting. In grade six the children sew three dimensional stuffed animals, learning how to change a two-dimensional drawing into a three-dimensional object. This process includes drawing and clay-work. Other projects may include weaving, making other animals or a Waldorf doll. To suit the psychological stage the children have reached leading up to puberty, it can be helpful to make three-dimensional objects either based on the human form or animal form, or garments for people: soft dolls or animals (to their own design and pattern). The important aspects are the process of turning inside out (which corresponds to the children’s first attempts to show their inner being externally), of stuffing and shaping. In grade seven the children will make moccasin slippers from their own pattern based on the outline of their own foot. They may also make pajama pants, first making their own pattern. This is their first introduction to the sewing machine. As the children approach physical maturity an awareness of body shape can be channeled into clothing… Pupils should design their own garments. Here is a wonderful article about the significance of including handwork and crafting into Waldorf Curriculum. Children in Grade 4 and up meet once a week to enjoy singing in a larger group, and to further improve their singing abilities. Margaret Moncrieff, a former teacher at Mulberry, is teaching choir this year. Families and the community will have a chance to hear the choir sing at school assemblies and at Rideaucrest home for the elderly. Singing at Mulberry begins early in the Parent Infant program and continues through the grades. Singing rounds begin in grade 3 and harmony is introduced in grade 5. In grades 4/5 and 5/6 all children have 2 years of violin lessons. First they learn the basics of how to hold the instrument. Soon they can play the notes of simple songs like "Twinkle, Twinkle Little Star" and eventually they play group pieces in harmony. Want to learn more? Here is a wonderful article that links Waldorf curriculum and music by grade - Let There be Music. Mulberry follows these curriculum and grade links closely with the exception of introducing soprano recorder in grade 1 and there has not been a progression to string quartets yet. The Waldorf curriculum strives to follow child development in terms of the academic curriculum as well as the movement/games/physical education program. 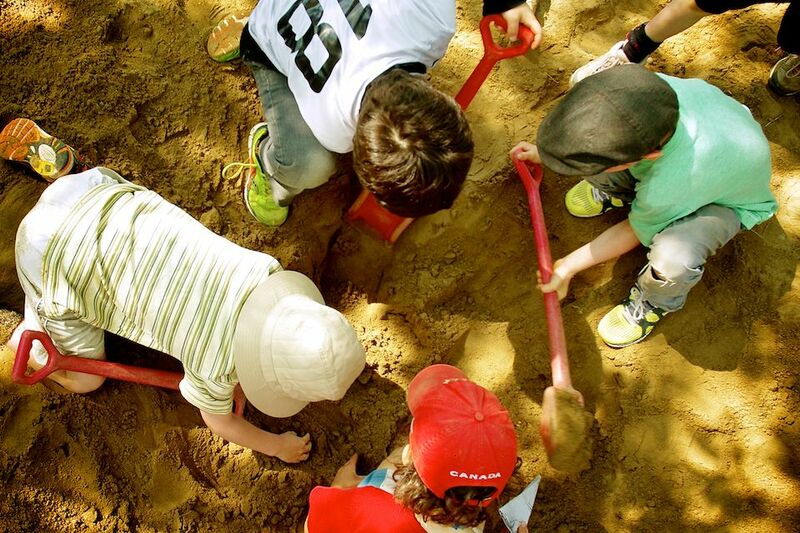 In the early years, healthy movement is fully integrated into the Morning Garden and Kindergarten day through outdoor play, indoor play, circle games, imaginative play, time in nature, walks around the neighbourhood and park, and purposeful work. In Grades 5 and 6, there is a focus on the nobility of sport, on the beauty and form of physical movement, which mirrors the academic curricular emphasis upon ancient Greece. This culminates with students’ participation in the Greek Games in the sport of javelin, discus, long-jump, wrestling and running. In Grades 7 and 8, team sports like soccer, volleyball, and basketball and their associated skills are introduced in the physical education curriculum. By this time, the children have developed strong sensory integration, real respect for rules, and an understanding of how a team works together. For this reason, they are able to develop self-discipline and a healthy sense of competition. In these years, students also begin to consciously work toward developing a balance in their lives that incorporates a healthy level of fitness. We strive to join the local cross country meet with an emphasis on training together. Our goal is to develop skills for a lifetime of physical activity, abiding appreciation for the outdoors, and striving to joyfully meet and overcome life’s challenges.